Communicable Diseases are those diseases which transfer from one person to another. Communicable Diseases are also known as infectious diseases. Such diseases are caused by fungi or bacteria. In other words, we can say that Communicable diseases caused by micro-organisms transferred directly or indirectly from one body to another. Communicable diseases are mostly the common diseases that most people face in life. 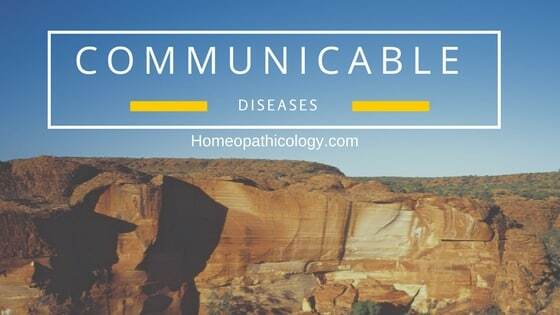 Below is the list of most common diseases and their cure with homeopathic remedies. For Children: 3-5 Drops from Each Thrice a Day in 1/4 Cup of water. For Adults: 8-10 Drops from Each remedy 3-4 times daily in 1/4 Glass of water. Children: 3-5 Drops thrice a day. Children: 5-7 Drops thrice a day.